Assistive touch Menu is a great feature of accessibility in iOS devices. But may you don’t know how to customize Assistive touch in iOS 10 or 11 and later. The help of that you can perform an array of gestures like Pinch, multi-finger swipe, or 3D touch (iPhone X/ iPhone 8/8 Plus, iPhone 7/ 7 Plus, iPhone 6S and iPhone 6S Plus and other compatible iDevices), and use Siri on iOS device. An important thing is while you’ve turned on Assistive Touch iOS device at the time doesn’t require pressing any physical button either home button or the power and volume buttons. I hope you’re familiar with how to turn on Assistive Touch on iOS 11/ iOS 10? If not, then don’t worry. Just go with given here given settings steps. 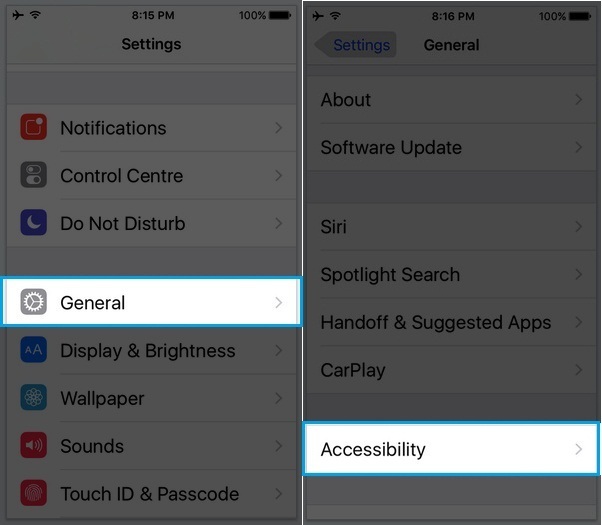 Go Settings → General → Accessibility → AssistiveTouch → Turn slider AssistiveTouch ON. Now you can see there are only six icons on Assistive Touch menu. Albeit, if you want to add or delete toggle from touch screen home button, then you’ve to go for customizing the way of Assistive touch settings. 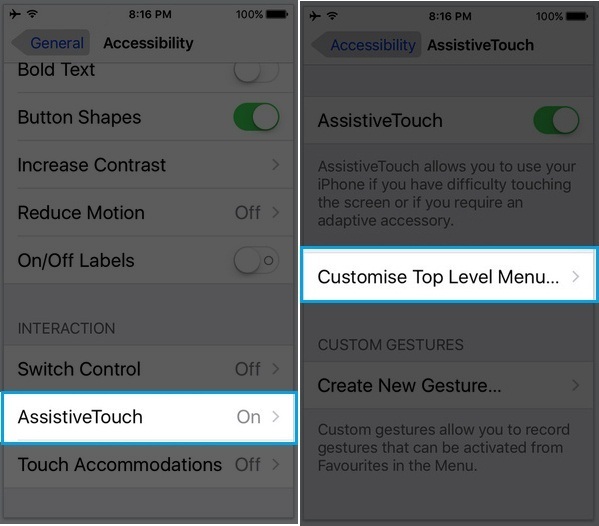 And you’re eager to know that then learn here how to customize Assistive touch in iOS? Note: Activate Assistive Touch By triple-click on a home button (On Home button devices), For Home buttonless iPhone X, Follow the below steps. Step 6. So now at the bottom of the screen, you can see (-) and (+) buttons to add and delete icons in Assistive Touch menu. Tap on Plus Sign and then tap on a blank icon to add new icon from a list and then tap on done. Just tap on appearing (-) sign button and go on a home screen. You can keep minimum one icon and maximum eight icons in Assistive touch menu. See at below different- different function name which you can fix Assistive menu. Not more options for change Assistive Touch colors, but we can modify the Transparency (Gray or Dark Black). For better viewing experience and effects on screen. Go to the Settings on iPhone/ iPad > General > Accessibility > Increase Contrast > Enable Reduce Tranparency. So Assistive touch menu you can summon on any screen of the iPhone, iPad and iPod Touch. Please Share your feedback about on this tip how to customize Assistive touch in iOS 11/iOS 10/iOS 9 or later, iPhone X, iPhone 8/8 Plus, 6S, 6S Plus/ iPhone 7/ 7 Plus.